Visit Ace Hardware once again this Saturday, armed with a coupon, and you could score a FREE quart of paint! 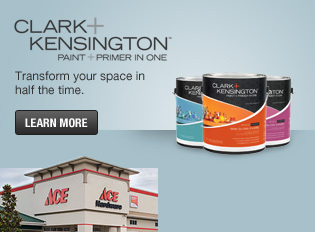 Visit the Ace Hardware page on Facebook for your coupon, and you could get a free quart of new Clark + Kensington flat wall paint in your choice of colors. You may want to call your store ahead of time, however, since not all stores will be participating. And, get there early, since the quantities available are limited! What will you paint with your free quart?